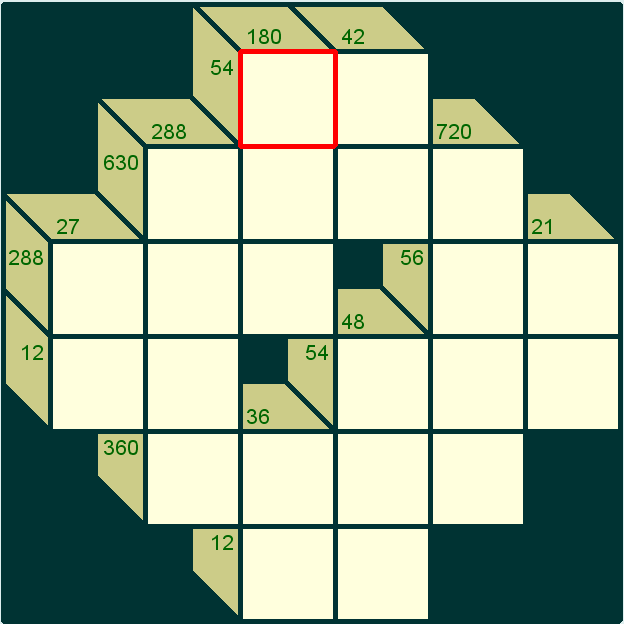 Kakuro Puzzle is one of my favorite puzzle. 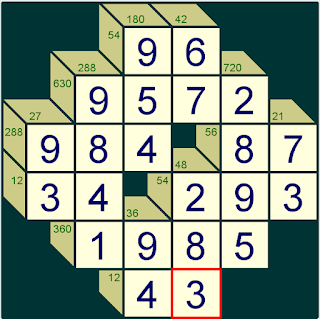 In Kakuro puzzle sum of number in the cells is given as hints. However this Kakuro puzzle is different. 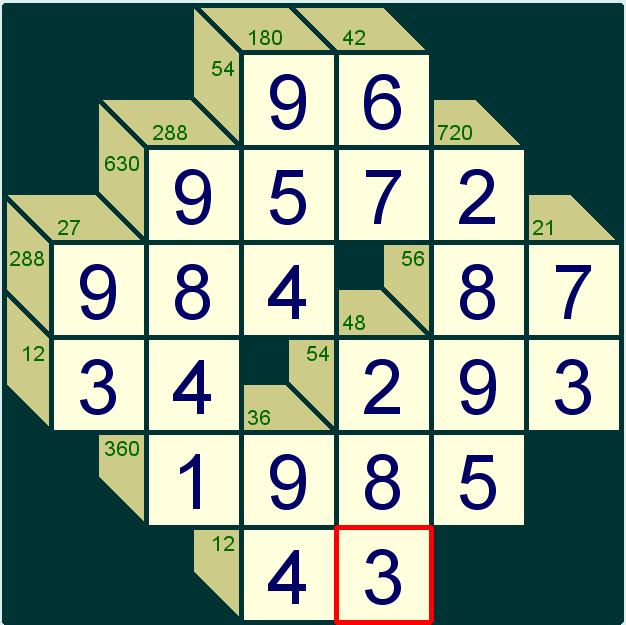 In this Kakuro puzzle product to number is given instead of sum of numbers. This puzzle is generated using Magnum Opus puzzle generator. Fill the grid with number from 1-9 so that product of these number is equal to number given as clue in front of the group. Numbers cannot be repeated in the group.